Anyway Anna of M.E. 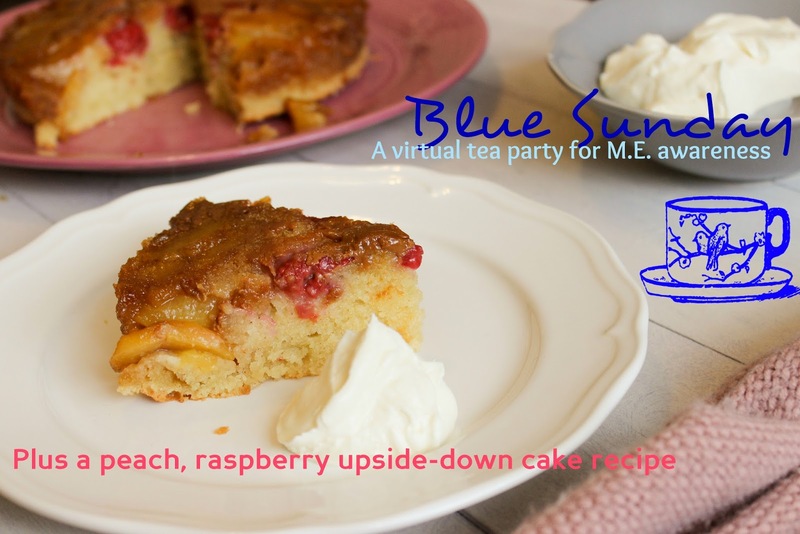 myself and I is doing a fundraiser that is not only super cool but quintessentially English....a virtual tea party. You sit/lay down in you own home & comfortably enjoy tea & cakes with or without your friends/family & donate what you would have spent at a café to the M.E. association via this just giving link. 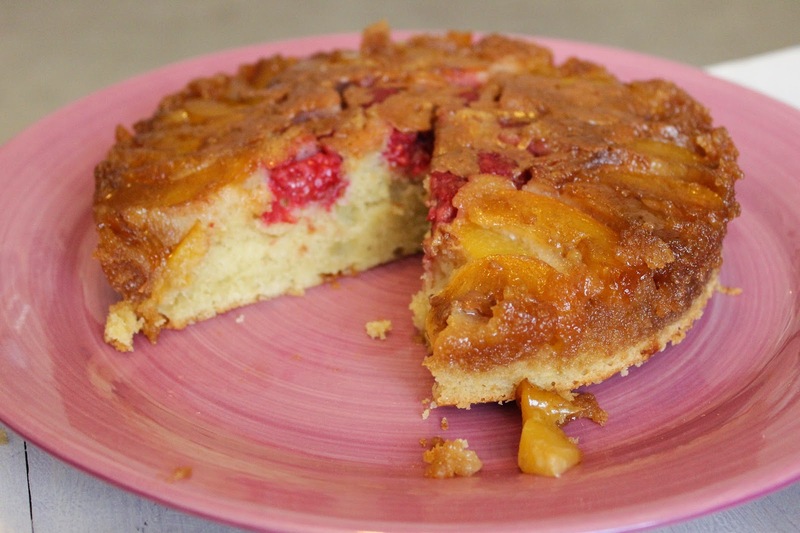 For my cake I made this peach & raspberry upside-down cake that I made last week & was eaten inside of a day. I made it again yesterday & the first cake is already gone! The recipe makes two cakes in the tins I have (which are, I think,﻿ 8 cm diameter shallow cake pans...) but you can adapt it to fit whichever cake tins/skillets you have. I wouldn't recommend using a spring-form pan as your caramel would leak out & it would defeat the upside down nature of the cake. 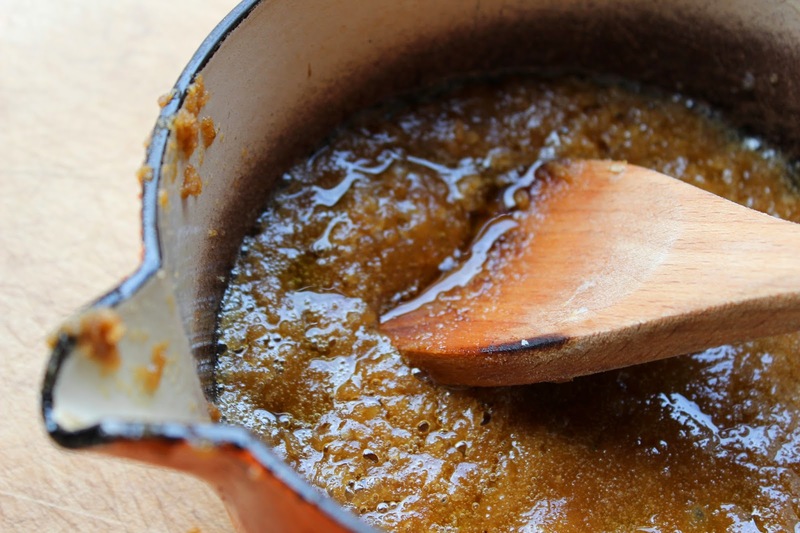 Pour the caramel into the bottom of your cake pans trying to smooth it into the corners as much as possible. Whilst the oven is heating beat the butter & sugar together until light & fluffy. Then beat in the extracts & the eggs until fully combined. In a separate bowl mix together the dry ingredients then mix half of the dry into the butter/egg mixture. Pour in the milk & then mix in the remaining dry ingredients. Split the batter over the two cakes making sure to get it all the way up to the edges. 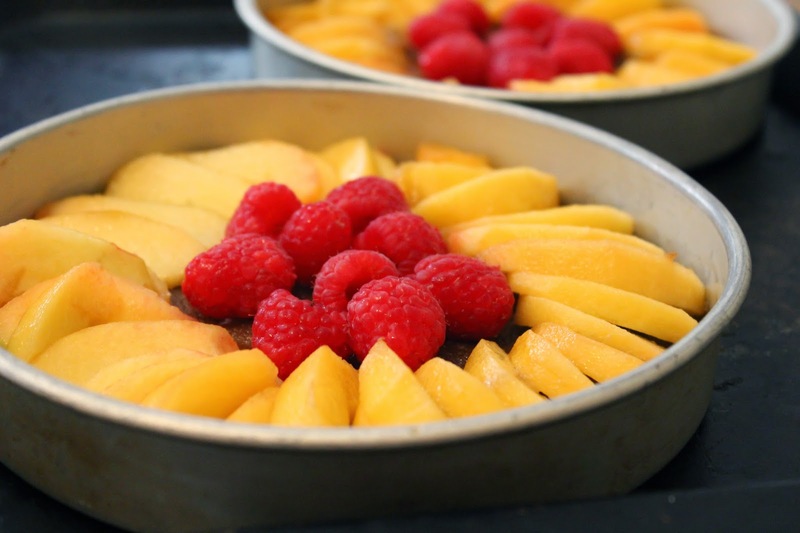 Place the cakes in the oven for 45-60 minutes or until golden brown. Remove from the oven & allow to cool for 20 minutes before CAREFULLY tipping out onto a plate making sure not to burn yourself with any of the hot caramel. I served this with a bowl of whipped mascarpone cream (mascarpone, 2 tsp sugar, a little bit of milk...whip) but it goes with basically anything. Don't know if I need to specify it's Emily from Words I Wheel By - but it's me, so hi! Oh my gosh, this made my mouth water. And your photos of it are lovely! I'm so excited you shared this recipe! 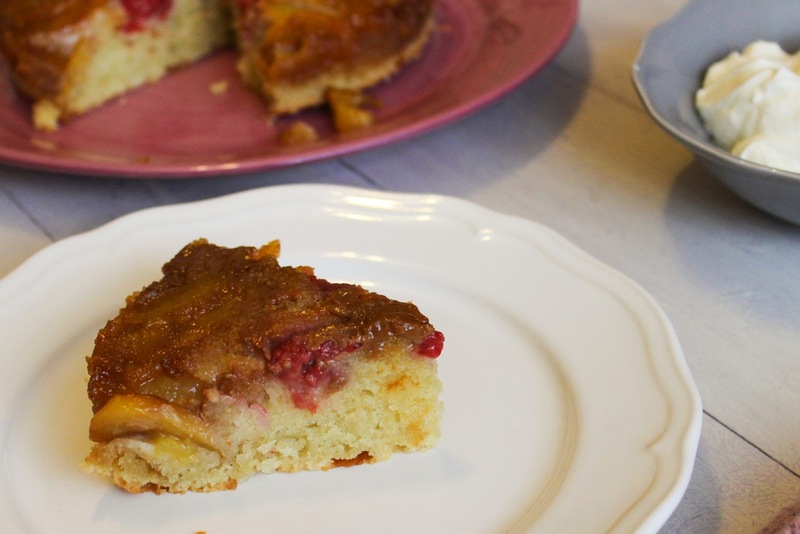 Thank you :) Upside down cakes aren't especially photogenic so I'm really pleased you thought the photos are good!